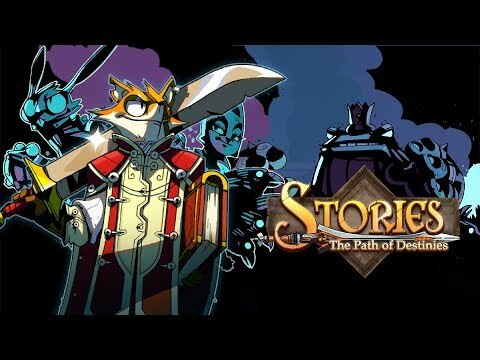 Welcome to Stories: The Path of Destinies, an action-RPG set in a vibrant fairytale universe filled with floating islands, majestic airships, and flamboyant magic. As the sole survivor of the vanguard, sky corsair Reynardo is the last line of defense against the mighty imperial armada. Fighting against impossible odds, Reynardo holds the fate of the realm and everything he holds dear in his hands. Stories: The Path of Destinies was released on Xbox One 30d ago in the US and the UK. Notify me when Stories: The Path of Destinies is available. Based on 1 Stories: The Path of Destinies review, Stories: The Path of Destinies gets an average review score of 77. The process of learning new things with each playthrough is rewarding, but the repetition takes away from the experience.